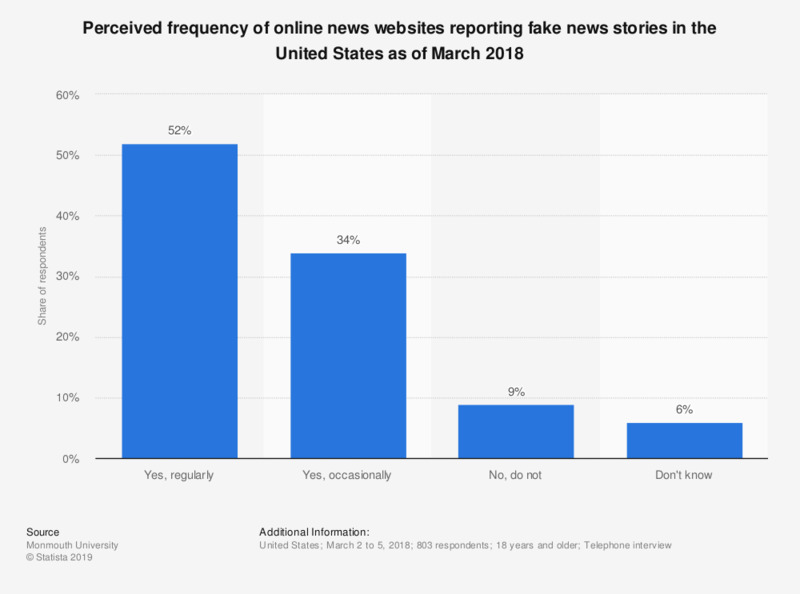 The statistic presents data on the perceived frequency of online news websites reporting fake news stories in the United States as of March 2018. During the survey, 52 percent of respondents stated that they believed online news sources regularly published fake news stories. This question was phrased by the source as follows: "Do you think some online news websites ever report fake news stories, or not? [If YES: Do they do this regularly or just occasionally?]"